In 1991, the great Red Star Belgrade of Savićević, Prosinečki and Pančev won the European Cup, defeating a Marseille team featuring stars such as Jean-Pierre Papin, Abedi Pele and Chris Waddle. In terms of football in the Balkans, it is quite probably their finest hour. In the meantime, their country was tearing itself apart as a result of centuries of ethnic and religious divides. The issues began in Slovenia, although in reality the Yugoslav War – what became an umbrella term for the wars in the Balkans throughout the 1990s – was almost inevitable when Josip Broz Tito died in 1980. To appreciate the war in Yugoslavia, it must be understood that under Tito, nationalism in Yugoslavia had been ruthlessly repressed following the ascent to power of the communists after World War Two. As a result, Tito had held together the turbulent countries in the Balkans through his policy of ‘Brotherhood and Unity’. With the death of Tito, the glue that held the constituent nations of Yugoslavia was gone, and cracks quickly began to appear. This one moment created a myth behind Milošević and helped ignite Serbian nationalism. By 1989, Milošević was the president of Serbia and the most powerful man in Yugoslavia. Matters then began to accelerate; it was also in 1991 that Slovenia left Yugoslavia, beginning the Ten-Day War. As the Slovenes attempted to move towards independence, the Yugoslav army – largely led by Serbia, and therefore Milošević – entered into conflict with Slovenia. The war was brought to an end by negotiation, but by 1992 Slovenia would be officially recognised as an independent country, no longer a Yugoslav state. As the Croatian War of Independence developed, ethnic tensions from within Bosnia and Herzegovina blew up and Bosnian Croats, Bosnian Serbs, and Bosniaks all were at war with each other. The fighting was barbaric on all sides, with a large majority of the horrors and war crimes in the Yugoslav War being perpetrated in Bosnia. By the end of the war in 1995, with the signing of a peace treaty, Yugoslavia as an idea of combining all Slavic states into one country, was dead. Of course, the nation would continue to splinter after the Dayton Agreement, leading to the current independent states of Serbia, Kosovo, Croatia, Slovenia, Montenegro, Macedonia, and Bosnia and Herzegovina. In a footballing sense, however – never to trivialise the horrific actions and effects of the wars in Yugoslavia – the major tragedy was the splintering that occurred in the early 1990s, and particularly the independence of Croatia. It quite possibly robbed football of one of the greatest international teams the world would have ever seen. In 1987, Yugoslavia won the FIFA World Youth Championship held in Chile. Originally, the team itself had been sent solely to make up the numbers – a number of key players such as Aleksandar Đorđević, Igor Berecko, Dejan Vukićević, Igor Pejović, Seho Sabotić and Boban Babunski were either injured or suspended, and Siniša Mihajlović, Vladimir Jugović and Alen Bokšić were told they would gain more by playing in the Yugoslav First League. Red Star decided that they wanted Robert Prosinečki for a vital cup tie and attempted to have him return home. After FIFA’s ruling that Prosinečki was to stay, he became one of the players of the tournament. However, this was no one-man team. Prosinečki was also aided by players such as Zvonimir Boban, Davor Šuker, Robert Jarni, and Predrag Mijatović. Defying all expectations from Yugoslav officials, the young stars easily finished top of a group that featured Chile, Australia and Togo. As was commonplace with most Yugoslavian sides, it was a team of character, and journalists identified that the side realised – after growing particularly fond of the nightlife in the capital – they would remain in Santiago if they topped their group. In the quarter-finals they faced the mighty Brazil – ironic, since Yugoslavians had previously been referred to as the Brazilians of Europe – and defeated them 2-1 through Mijatović and Prosinečk, going on to face East Germany in the semis. East Germany were dispatched 2-1 thanks to with goals from Igor Štimac and Šuker. West Germany were beaten on penalties – much like Red Star defeating Marseille in the later European Cup triumph – in the final. At their age group, Yugoslavia had the best football team on Earth. However, as a nation, Yugoslavia never reaped the benefits. Naturally, had the country stayed together, you would assume that the key members of the World Youth Championship-winning side would have become full members of the Yugoslav national team sometime around the build-up to the 1994 World Cup, when they would be 25 or 26 and approaching the peak of their careers. When you consider that they would be added to a cast boasting names such as Savićević, Darko Pančev, Mihajlović, Stojković and Katanec, it is a footballing tragedy that they were never allowed to co-exist. Indeed, Katanec has said that had the country held itself together and united once more, the football side “would have crushed the world”. Imagine a midfield of Boban, Prosinečki, Savićević and Stojković providing for a strikeforce of any of Pančev, Bokšić and Šuker. Creative and majestic, and undoubtedly fluid and exciting to watch. The nation of “what could have been” surrounds football in the Balkans after the collapse of Yugoslavia. What’s more, no former Yugoslav nation even took part at Euro 92 or the finals of the 1994 World Cup in the United States. To look at the true potential of what this special generation of Yugoslav football could have become, the only evidence we have to look at is the 1998 World Cup in France. 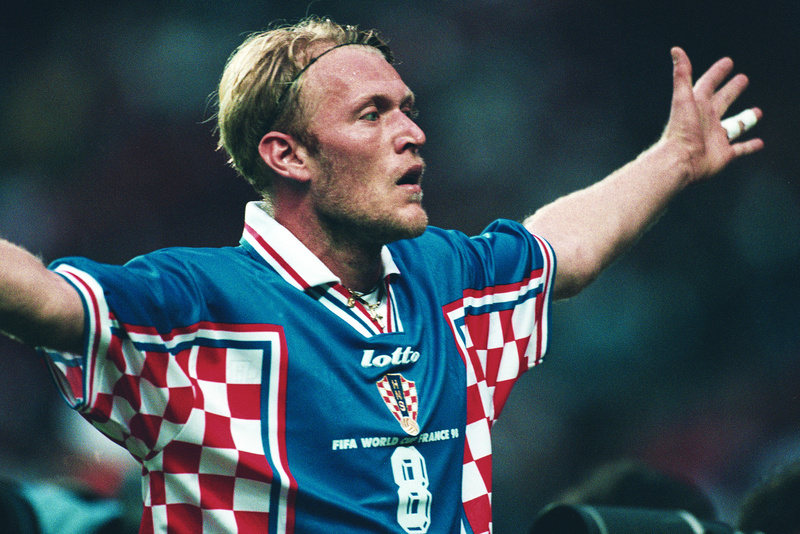 It is well-remembered that Croatia – then competing in their first finals – finished in third place, defeating the Netherlands in the third-place playoff with a team containing Prosinečki, Boban, Jarni, Bokšić and Šuker. It is largely forgotten, however, that Yugoslavia – effectively just Serbia and Montenegro – made it through to the knockout rounds before being beaten by eventual semi-finalists Holland, with a squad boasting Stojković, Mijatović, Mihajlović and Dejan Savićević. Yugoslavia finished 10th in France, meaning that both the third and 10th best teams in the world were – for many – from the same country: Yugoslavia. However, some of those stars were on the wane by France 98. In reality, 1998 wasn’t the best year for Yugoslav football. 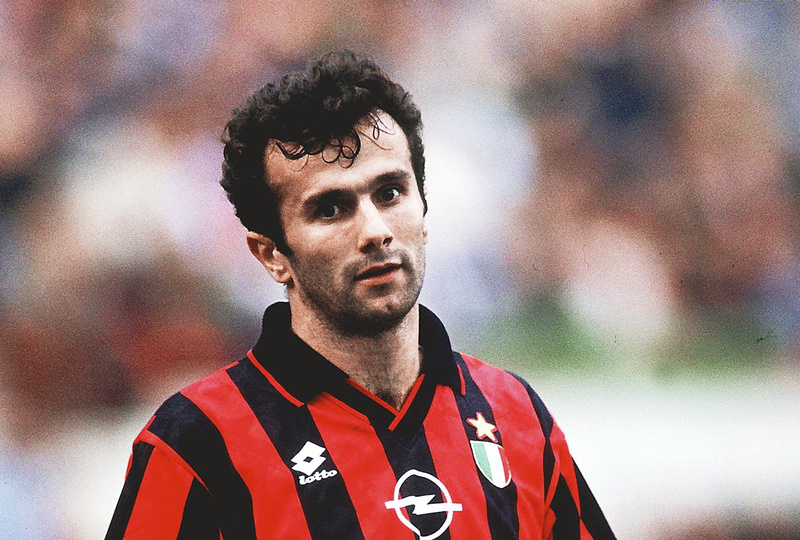 Savićević, in particular, at his peak one of the finest attacking midfielders in world football, only played two games for Yugoslavia in France. Another great attacking midfielder, Dragan Stojković, was also coming towards the twilight of his international career, making his last appearance in 2001. In addition, Darko Pančev, the hero of the European Cup triumph for Red Star, was playing for the Macedonia national team around this time and, as a result, never even played at the 1998 World Cup. Pančev’s peak was in the early to mid-1990s, despite his poor spell at Internazionale, which was largely not his fault, and much like the rest of his generation, it would have coincided with the 1994 World Cup in America. USA 94 is not held up as one of the great World Cups, and although Italy and Brazil were teams worthy of being in the final, the semi-finalists were shocks in Bulgaria – led by Barcelona’s Hristo Stoichkov – and Sweden, and when the national teams of the constituent nations of Yugoslavia are combined around the 1994 World Cup, you have a large number of world-class talents either at or approaching their peak. 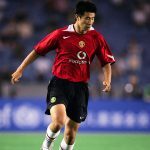 Just for fun, here’s a short list: Zvonimir Boban, Davor Šuker, Robert Jarni, Predrag Mijatovic, Dragan Stojković, Dejan Savićević, Darko Pančev, Robert Prosinečki, Refik Šabanadžović, Alen Bokšić, Siniša Mihajlović and Vladimir Jugović. It’s difficult to believe that they wouldn’t have at least made the semi-finals. When you think that Sweden and Bulgaria were the third and fourth-placed teams, you have to believe that a 1994 Yugoslavia would have at least challenged them. However, we will never know, and again thoughts of what if surrounds sport in Yugoslavia towards its collapse. Much like how the basketball team of Dražen Petrović and Vlade Divac never fulfilled its potential, we will never quite know how good the football team could have been. The only clues we have are their performances at club level and how the independent nations shone during this era. We can only think and dream. That sentence embodies Yugoslavia and the football team that the entire world missed out on. It would’ve been amazing.